Jennifer Duck, a board certified physician assistant, graduated from University of Louisiana Lafayette in 2003 with a degree in Biology. In 2007, Jennifer received a Bachelor in Physician Assistant and Masters in Medical Science from Nova Southeastern Univerisity in Fort Lauderdale, Florida. 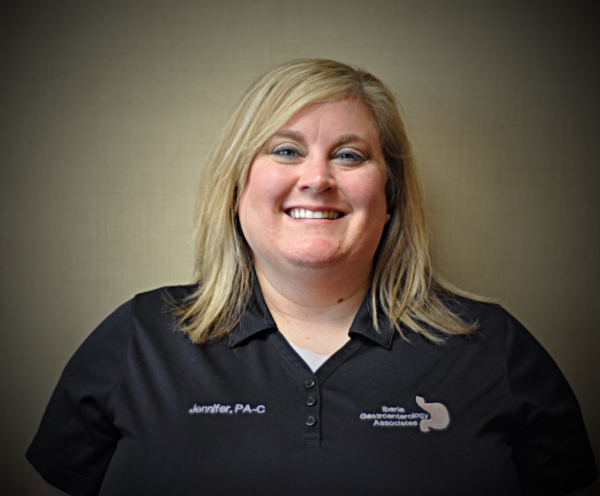 Jennifer is a native of New Iberia and has been part of the Iberia Gastroenterology Associates team since 2007. She is currently and active member of the local Lafayette PA society. In her spare time, Jennifer services the community by coaching baseball and softball.